When Project Online was first released, there was no mechanism to refresh Excel reports consuming OData feeds. Users were encouraged to open the Excel reports and manually refresh the reports. Macros were written. Hair was pulled in frustration. 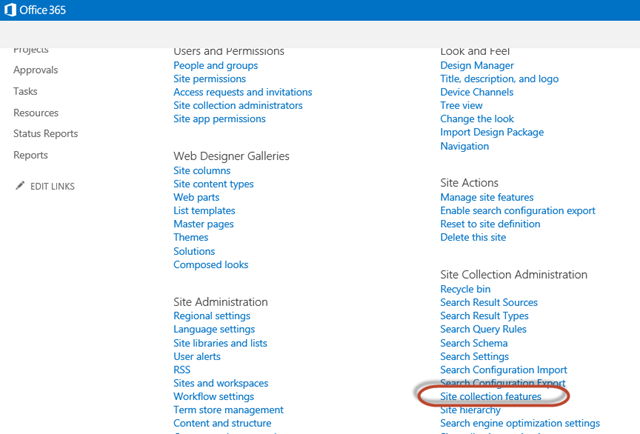 Somewhere after that was posted, the configuration became a site collection feature. Hence, if you’re using Project Online right now, you need to activate this at the PWA site collection level. To get there, go into site settings for the PWA main site, and select the option for Site Collection Features. The one you’re looking for is entitled Project Web App Permission for Excel Web App Refresh. Activate that and you should be good to go.